The biggest entry in the Point Concentric Series, the Point Concentric 12, offers linear, high-resolution audio throughout its entire intended bandwidth. With nominal 60° x 40° dispersion it is the only loudspeaker in the range that features a non-conical coverage pattern. It includes three M10 fly points as well as a built-in polemount socket. 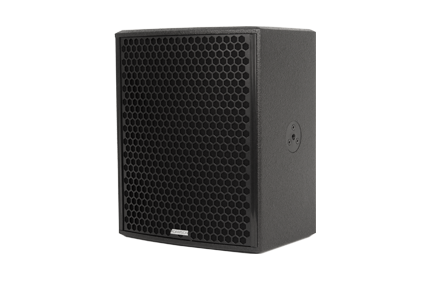 Whether used as main FOH in a smaller application, a fill speaker or a compact stage monitor, this lightweight passive speaker packs an incredible punch. PC 12 Rigging Bracket (934-0022) Vertical rigging yoke for the Point Concentric 12.